Rocking chair front porch with swing. 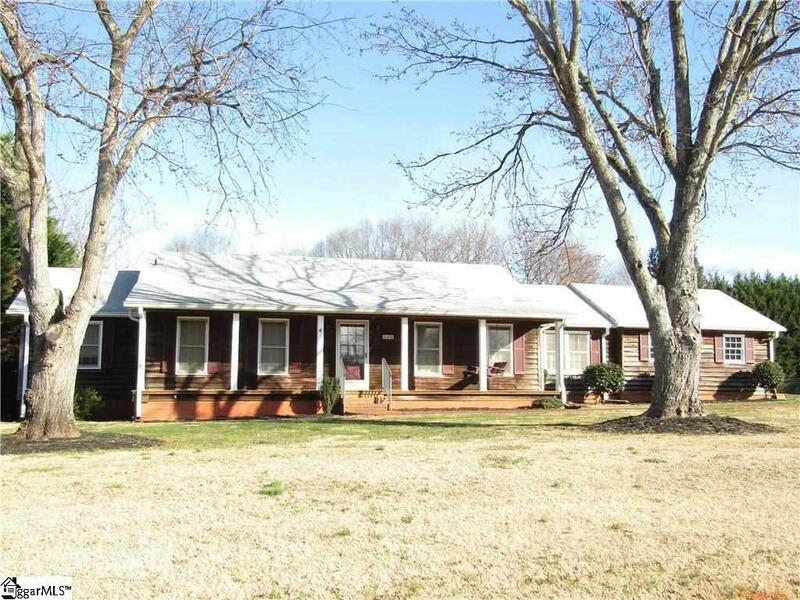 Ranch style home with 3 bedrooms and 2 full bathrooms. Master suite with a tub/shower combination and walk-in closet. Double screen porches in the back. Home sits on a 0.58 acre lot in Pritchard Creek subdivision. Large two car attached garage with built-ins. Well maintained. Must see! Listing provided courtesy of Rozlynn Hood of Coldwell Banker Hugh Durham As. © 2019 Greater Greenville Association of Realtors Multiple Listing Service. All rights reserved. IDX information is provided exclusively for consumers' personal, non-commercial use and may not be used for any purpose other than to identify prospective properties consumers may be interested in purchasing. Information is deemed reliable but is not guaranteed accurate by the MLS or Keller Williams Western Upstate. Data last updated 2019-04-24T10:01:16.827.